Hugh Howey is the author of Wool, a book he wrote while working as a bookseller, writing each morning and during every lunch break for nearly three years. Originally self-published in 2011, Wool has grown into a New York Times bestseller. He now lives in Jupiter, Florida, with his wife Amber and their dog Bella. 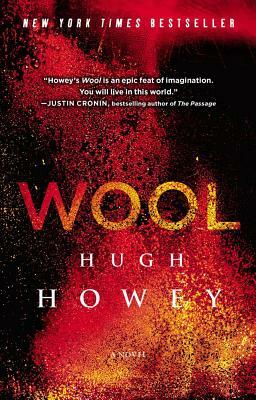 For more information visit HughHowey.com/wool/. "Howey's WOOL is an epic feat of imagination. You will live in this world." “Secrets unfold with just the right pacing… If you're looking for a good post-apocalyptic read, you can't do much better than WOOL." "With WOOL Hugh Howey has created a new science fiction classic." "In WOOL, Hugh Howey delivers the key elements of great science fiction: an authentic and detailed future-world; realistic, relatable characters to live in it; and a taut, thoughtful story. Howey’s supple, muscular writing is the icing on the cake."